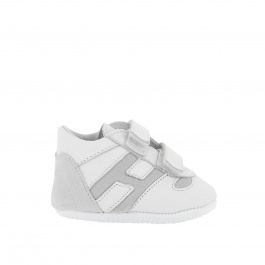 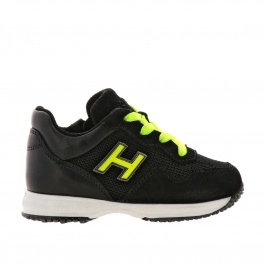 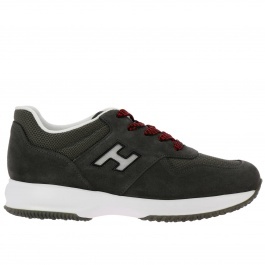 Every collection of Hogan shoes for men, women, and kids is characterized by a modern and essential design infused with high-quality materials and the unmistakable logo on the outer side of the shoe that signs every model. 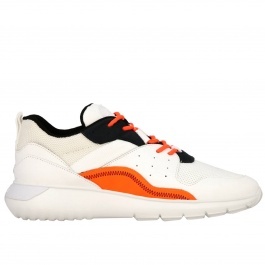 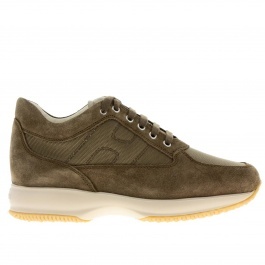 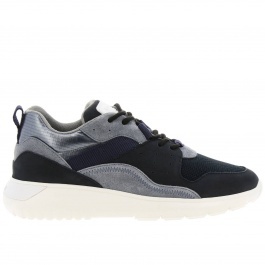 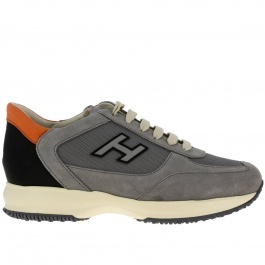 Hogan Interactive sneakers were created in 1997 and soon became the flagship of this Made in Italy brand thanks to the in-depth studies of the foot anatomy that have given rise to a high comfort footwear. 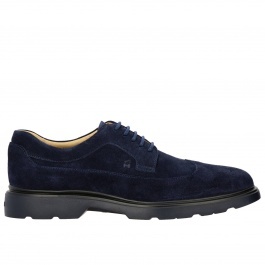 Since then they are in the favor with all those who love style and quality. 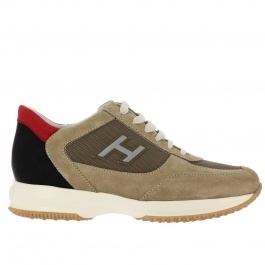 Widely appreciated for the undisputable comfort, Hogan shoes are realized to foster a proper posture, as well as to offer a sporty footwear, always sleek though, perfect for every moment of the day and any occasion. 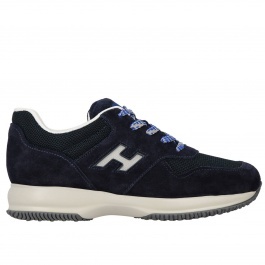 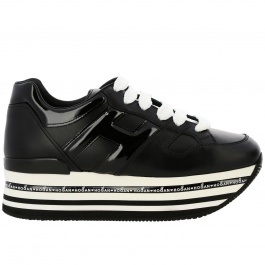 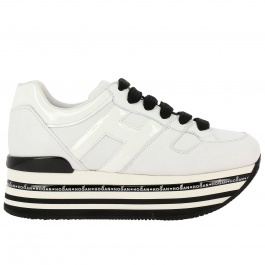 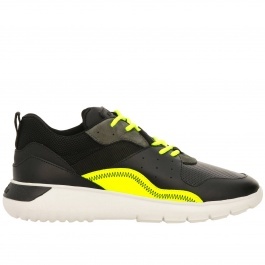 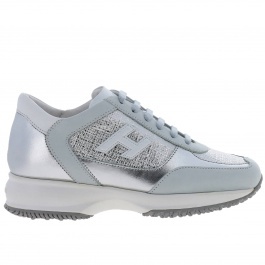 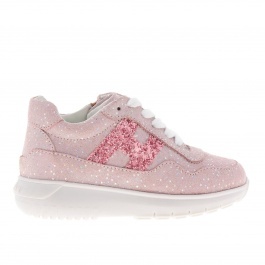 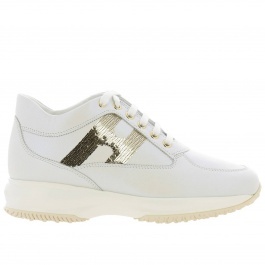 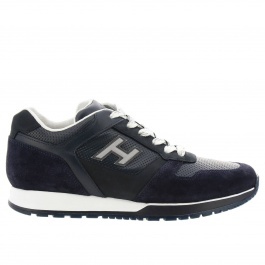 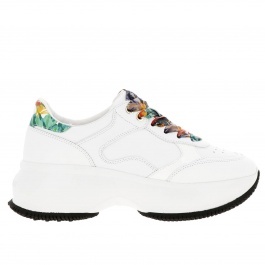 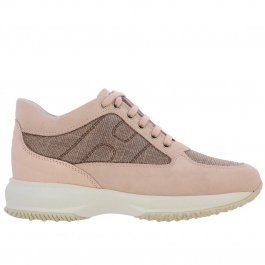 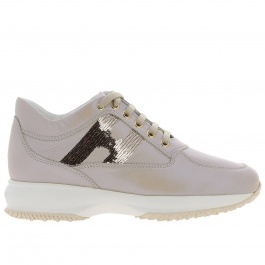 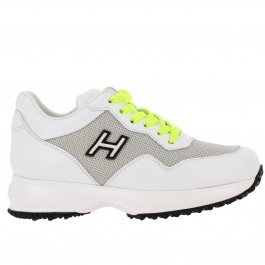 In addition to the most iconic Hogan Interactive sneakers, the Italian fashion label has created Olympia, Running and Rebel models, as well as flats, pumps, boots, and sandals to meet the taste and needs of all the lovers of luxe and comfort. 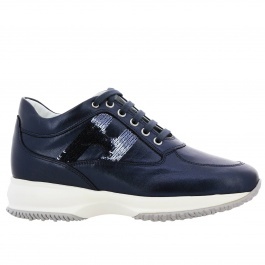 The countless renditions available, not only for what concerns colors, materials as real leather, suede, high-tech fabrics but also for the sophisticated details especially when it comes to the women's models rich in studs, sequins, rhinestones, make them the perfect footwear to get a casual-chic look. 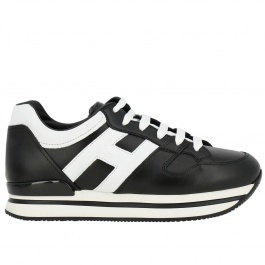 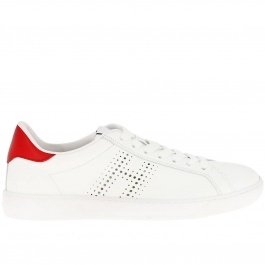 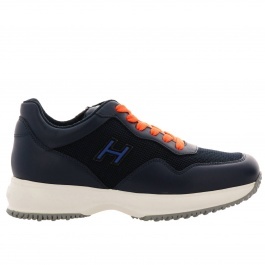 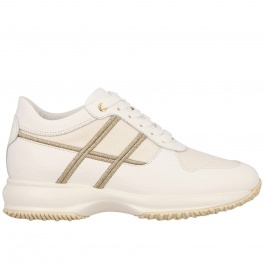 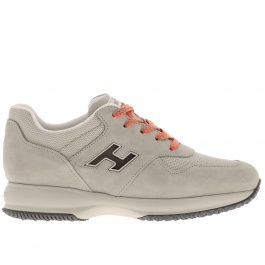 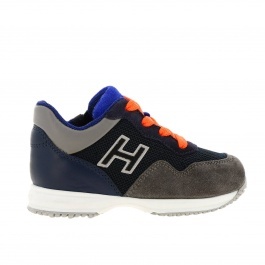 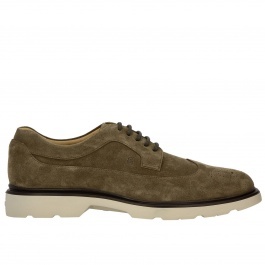 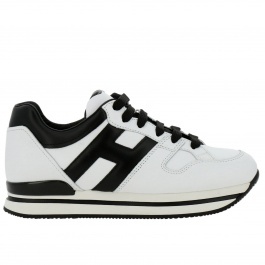 Shop your favorite Hogan shoes online at Giglio.com and enjoy free shipping.